Efforts to vaccinate 165,000 children against polio in Sudan have been blocked by the government and rebels, the UN humanitarian chief says. John Ging said the two sides should stop "filibustering" and give health workers access to children in the South Kordofan and Blue Nile states. The government and rebels had ignored a Security Council resolution to give health workers access, he said. The UN fears that conflict in the two states could lead to a polio outbreak. According to the UN World Health Organization, Sudan has been polio-free for more than two years. South Kordofan and Blue Nile border South Sudan, which seceded from Sudan in 2011 after a peace deal to end years of civil war. The UN held talks with the government and Sudan People's Liberation Movement-North (SPLM-N) to carry out vaccinations from 5 November to 12 November but "unfortunately we have been filibustered with process and discussions and disputes which have amounted to no access", Mr Ging told journalists, after briefing the Security Council. 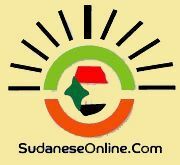 It should use its "significant authority" to force the government and SPLM-N to let health workers in, he said. China's UN ambassador Liu Jieyi, who is the current president of the UN Security Council, said the lack of access was "disturbing". However, he did not refer to any action that the Security Council intended to take against the government and SPLM-N, the Associated Press news agency reports. Mr Ging said the UN had already been forced to cut back on plans to send food and other relief to South Kordofan and Blue Nile, and had decided to focus on the vaccination drive. "And as of today that has also failed," the AFP news agency quotes him as saying. "They have their excuses, they point the finger at each other of course, but the bottom line is they don't pay the price," he added. Some 800,000 people affected by the conflict in South Kordofan and Blue Nile have been with no outside assistance for 18 months, Mr Ging said. 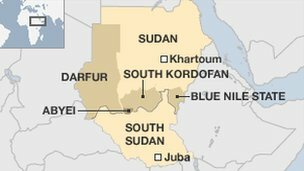 "We, the international community, have failed the people of South Kordofan and Blue Nile," he added. Around the time of the South Sudan's independence, trouble began in the two border states. The SPLM-North fighters once fought alongside the rebels who won independence for South Sudan.